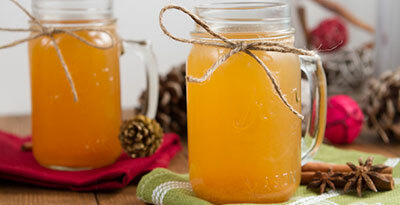 Kombucha: an ancient digestive remedy making a huge comeback! Fermented foods play a huge roll in re-establishing and maintaining healthy gut ecology. The health of your gut is linked both to your overall health in such a big way that it’s important to pay attention to it. If you’re pretty health conscious with your ear to the ground, you’ve probably already heard of Kombucha. Kombucha is a naturally fermented drink that is made up of tea, raw unrefined sugar, pure water and “SCOBY”. Now don’t freak out about the “sugar” bit, I’ll get to that in a moment. “SCOBY” stands for Symbiotic Culture Of Bacteria and Yeasts. It kind of looks like a floating mushroom and is what creates the fermentation process and all of the health benefits that go with it. Kombucha is brewed by fermenting the SCOBY with tea, water, sugar and any other ingredients you choose to combine with it (to add extra flavour) after the initial fermentation process e.g. apple, ginger, cinnamon, berries etc. You’ll never actually see the SCOBY. You’ll just be tasting the delicious tea it’s been brewing in (that stores all of the healthy benefits). Once the liquid is extracted, it’s bottled and carbonated, turning it into a refreshing, delicious, lightly fizzy drink. And what about the sugar? The SCOBY needs sugar to survive and grow, and in the process of fermentation the SCOBY absorbs nearly all of the sugar, leaving about 1 gram of sugar for every 250ml. So don’t stress, it’s just part of the process in bringing this tummy healing little potion to life! Kombucha is loaded with beneficial probiotic organisms. These probiotic organisms have been scientifically proven to be associated with digestive health and immune function. If you have IBS, or experience tummy pain and bloating, Kombucha is an awesome plant-based way to heal your gut and add back healthy gut flora that may have been lost by taking antibiotics, or an overload of stress on your digestive system. Kombucha is also linked to liver and kidney health. A number of studies have shown that by drinking kombucha, you can help decrease the number of toxins that can cause damage to the liver and kidneys. It is also an awesome probiotic if you happen to be vegan, or lactose intolerant! I love the refreshing taste of Kombucha and the healthy benefits it provides. Fact is, we should incorporate naturally fermented foods and drinks into our diet on a regular basis to boost and maintain healthy digestive function and Kombucha is a simple, convenient, tasty way to get it. It’s also an ingenious little addition to the mix when you’re fasting or juice cleansing for a few days. That’s why we stock Kombucha in our “Grab n’ Go” store at “The 4217″, Beach Road, Surfers Paradise! Once again, the health of your gut is worth paying attention to if you want to stay vibrantly healthy overall. When is the best time to cleanse?